The 4 star Hipocampo Playa is a good choice for golfers travelling between June & October, who are looking for a sun & golf holiday, in a beachfront location. 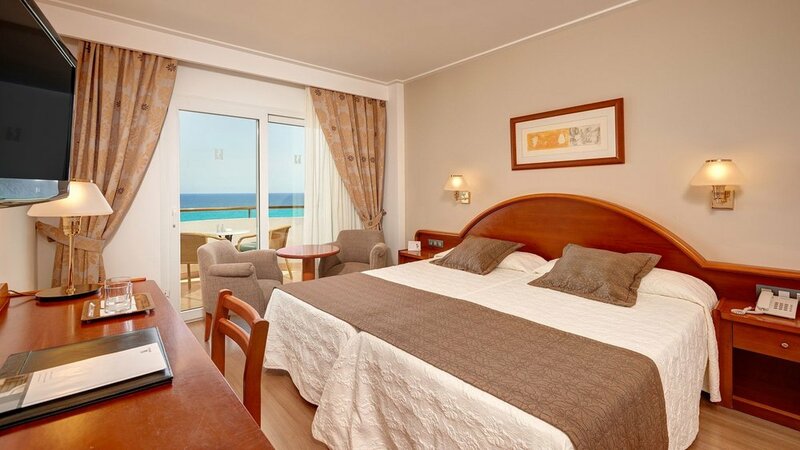 The 4-star Hipocampo Playa hotel can be found in a relatively quiet beachfront location, towards the outskirts of Cala Millor. It's a great choice for golfers who want the convenience of its bars and restaurants, without being in the centre of the resort. The rooms at this high quality hotel are decorated in warm chocolate tones, they have smart wooden effect flooring, and are well equipped. The staff here are frequently acknowledged for their warmth & friendliness, and their willingness to make each person's stay perfect. 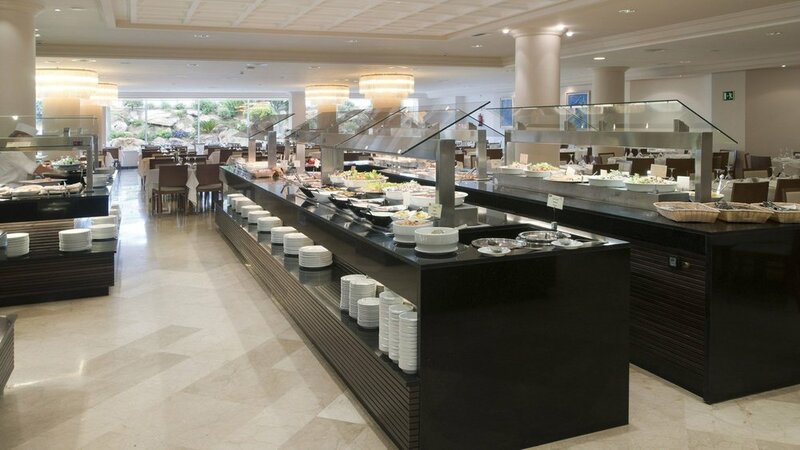 The buffet restaurant offers a wide breakfast selection, and is available in the evening for any golfers staying on a 'Half Board´ basis. Whilst the beach is adjacent to the hotel, the hotel has an ample freshwater pool surrounded by parasols and sun loungers. There's also a snack bar where drinks and food can be purchased throughout the day. This hotel is a really good choice for golfers travelling between June & October, who are looking for a Sun & Golf holiday. The beach is long and sandy, but if you don't fancy getting sand between your toes, you can take advantage of the excellent facilities at the hotel. If you're a tea-junkie, and like that first refreshing cuppa from the moment you wake-up, then remember to pack your travel kettle. Whilst the rooms are well-equipped they don't have kettle!